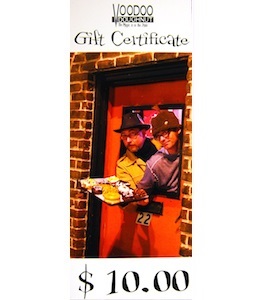 This certificate is good for $10.00 toward your purchase at Voodoo Doughnut. Not to be used with other offers. No cash value. No change can be given, so use it all up at once.